Homes offer a sense of place and stability — but typically, they’re also stuck in just one place, rooted to a foundation that just isn’t going to move. 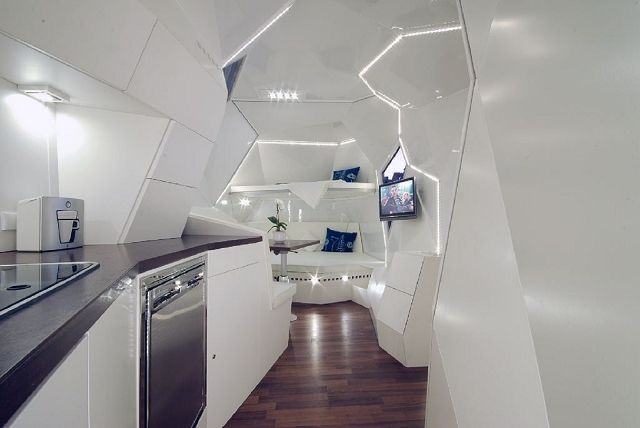 But for those who crave the ability to have a real home that can travel wherever they’d like to go, there’s a new type of living space available: portable homes. 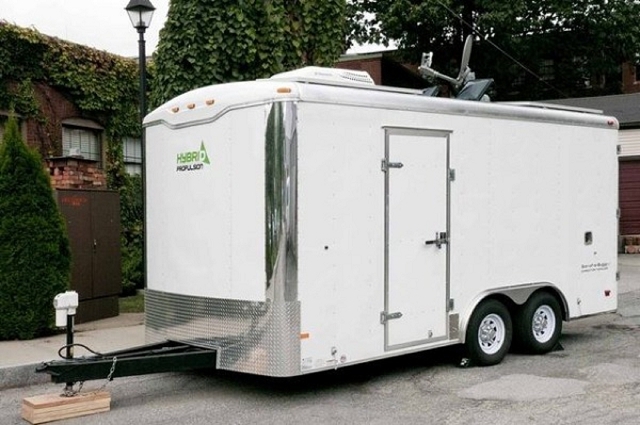 These homes, often mounted on a trailer, are typically tiny, easily moveable, and surprisingly, come complete with modern amenities including electricity, water, and bathrooms — sometimes even with full showers, sinks, and appliances! But to fit all of this functionality into such small space, you have to get creative. 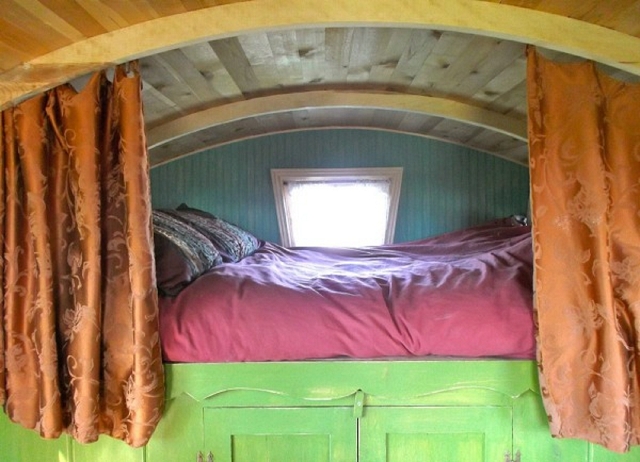 Check out our list of 21 unique portable homes to find livable spaces inside of former school buses, in the beds of pickup trucks, inside cargo trailers, and more! 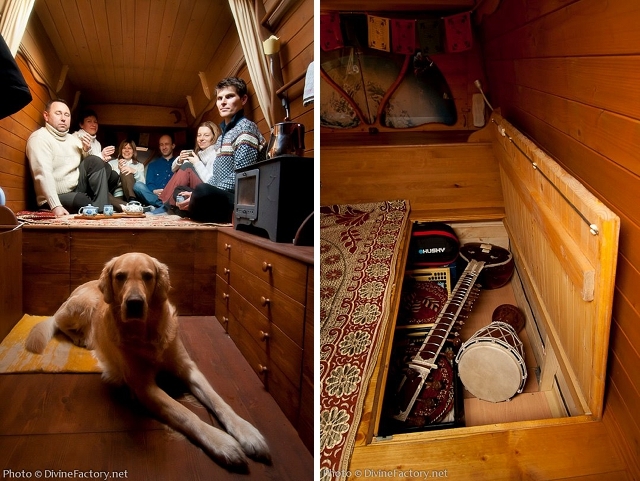 Alek Lisefski, a web designer by trade, designed and built this tiny house for himself, his girlfriend, and their dog Anya. It allows them to live more simply, with no rent to pay and the ability to spend more time outdoors. The house has a 8’x20′ footprint, plus three feet of porch. It is just small enough to travel safely on a highway. Inside, the house features a sleeping loft, kitchen, bathroom with a composting toilet, and space to live and work. The couple lives in northern California. 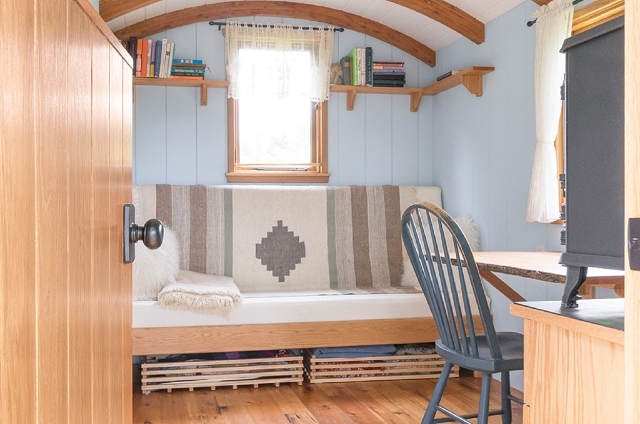 Designed by Little House on the Trailer, this charming studio features recycled barn siding. 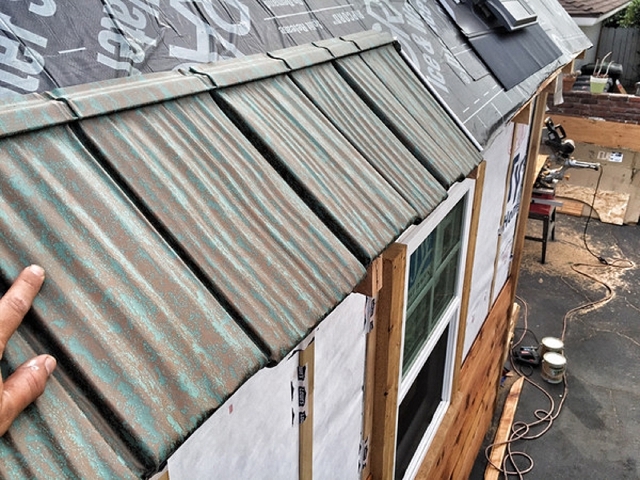 This particular model is intended to be used as an art gallery or studio, but barn siding can be used as a finish on any tiny portable home. 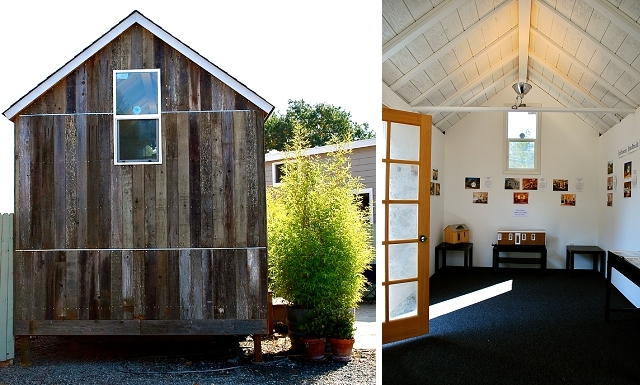 It brings a rustic look and eco-friendly reused materials for a charmingly small, portable home. 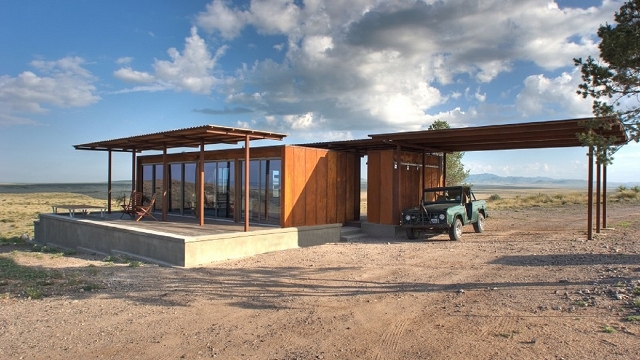 This prefab home is designed by Spanish architectural firm Ábaton, and is made at a CNC (computer numerical control) mill factory in Spain. 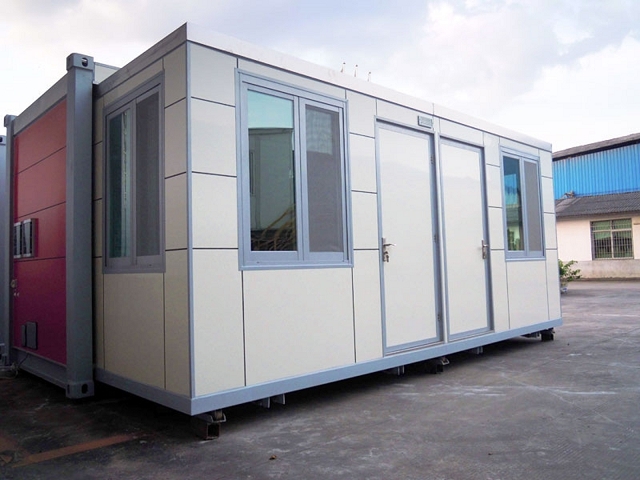 The houses are designed to be compact, easy to move, and are fully plumbed and wired for a quick, turn key installation and use. It includes a kitchen, living room, bathroom with full shower, and even a bedroom with a bed included. Plus, the home has thick insulation to make it thermally efficient. 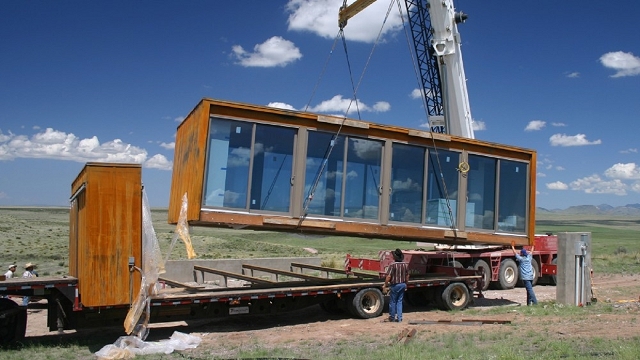 Want a portable, modern home with a little more space? 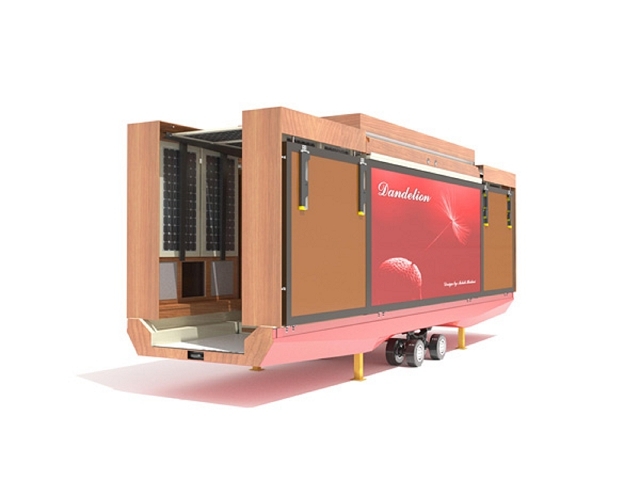 This mobile housing design takes a small, easy to transport footprint and unfolds it into a comfortable living space. Once it’s been unfolded, this home has large windows, two porches, and plenty of solar power panels to keep things running. Plus, there’s plenty of room both inside and out. The Shepherd Hut looks like a charming, country home filled with natural light — that just happens to be incredibly small. Featuring plenty of windows and light wood and paint, there’s an airy feel to this hut that makes it feel much larger than it really is. And it’s ultra-functional, too: the designers have created modular furniture, like a table that folds down, and a sofa that pulls out to create a large bed. 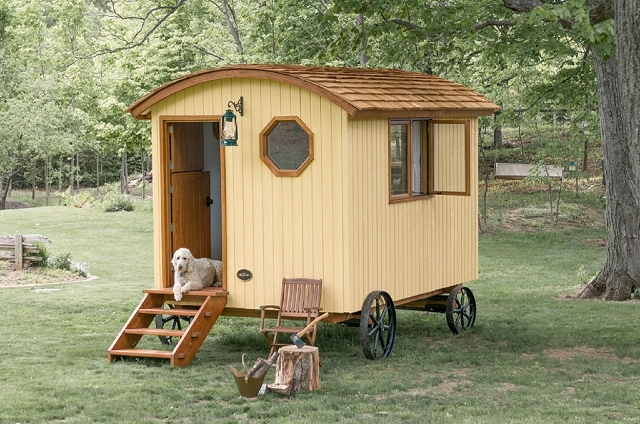 Each Shepherd Hut comes with distinctive and creative cast iron wheels, as well. Before putting together his tiny house, Mario Soto had never built anything bigger than a bird house. 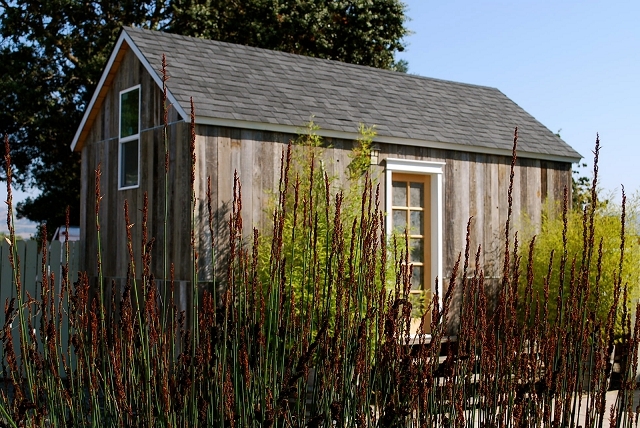 But using plans from Tumbleweed Tiny House Company, he created this charming home in California. Mounted on a trailer and covered with metal roofing, Mario’s home is both portable and durable. He’s also added a solar skylight that opens and closes depending on the weather, plus, electricity that can be controlled by his iPhone. 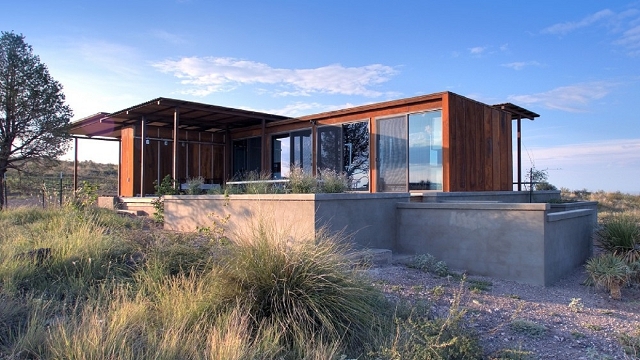 One of many small, portable houses designed by Alchemy, this WeeHouse is a 440 square foot home in the arts colony of Marfa in West Texas. It has a fully finished interior and exterior, and arrived with an outdoor shed including a washer and dryer and hot water heater. Utility hookups, decks, and canopies were installed on site. Plus, the home was installed on a high foundation to enable views of the landscape. 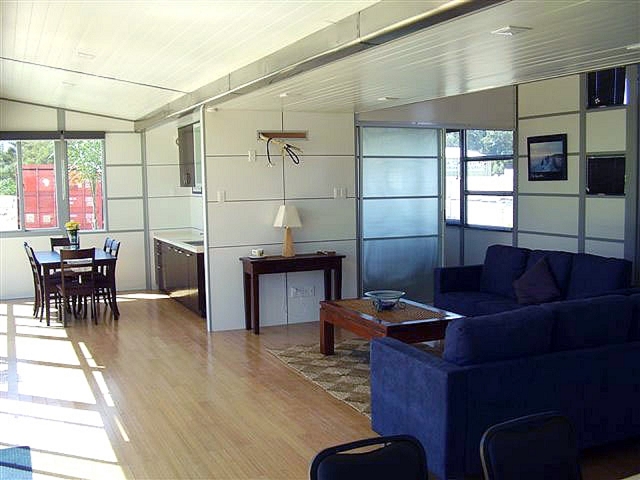 Tortoise Shell Homes offers a number of portable, trailer based home models with eco friendly features. 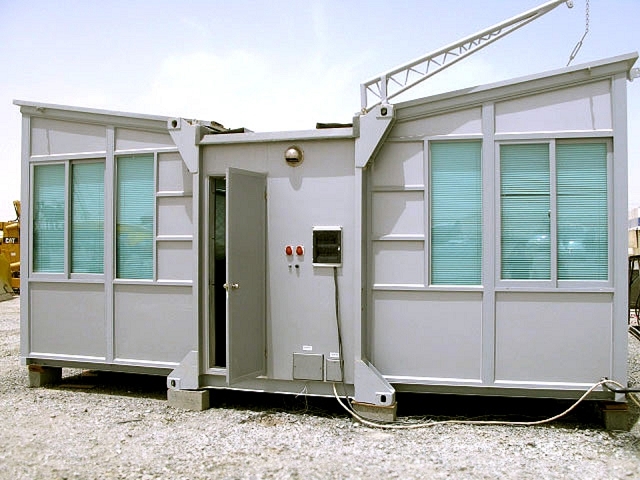 This particular home (or camping cube) is powered by a wind generator. It’s located in an area that has regular winds on a daily basis, and with battery charging that’s enough to power the entire home. Homes from this builder include a kitchen, bathroom, shower, propane ready plumbing, demand hot water heaters, plus full insulation and dual pane windows and a French door. Based in the Yukon region of Canada, the Leaf House design and build team creates small, trailer mounted homes that are tailored to the extreme cold climate environment with eco friendly materials and modern design. Leaf Houses are ultra portable and are legal road height and width. Even with a small footprint, Leaf Houses are surprisingly functional, with a kitchenette including a dishwasher and sink, a shower, toilet, instant hot water heater, water tank, electrical, and both a sofa seating area and loft up above. 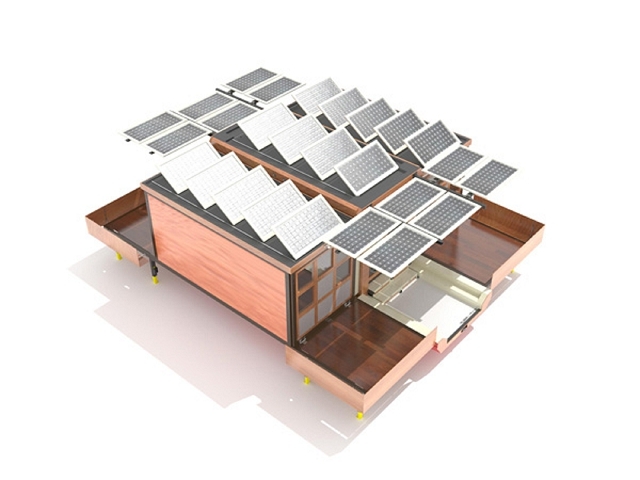 Off grid system options are available. The homes are eco friendly as well, using reclaimed materials, natural finishes, and Forest Stewardship Certified (FSC) lumber. Remember Oregon Trail? 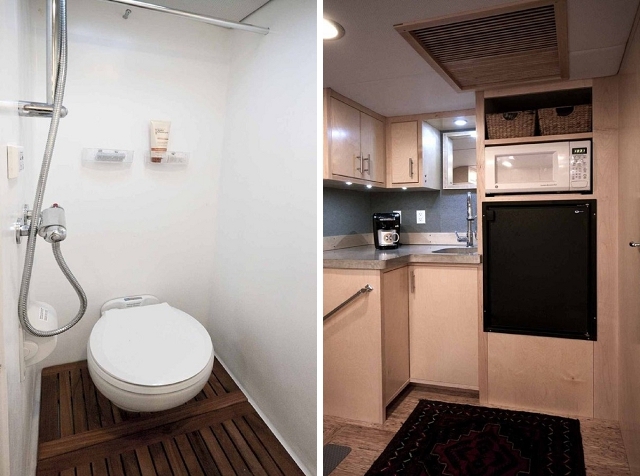 In this trailer mounted home, you can live it — just without all the pesky dysentery. 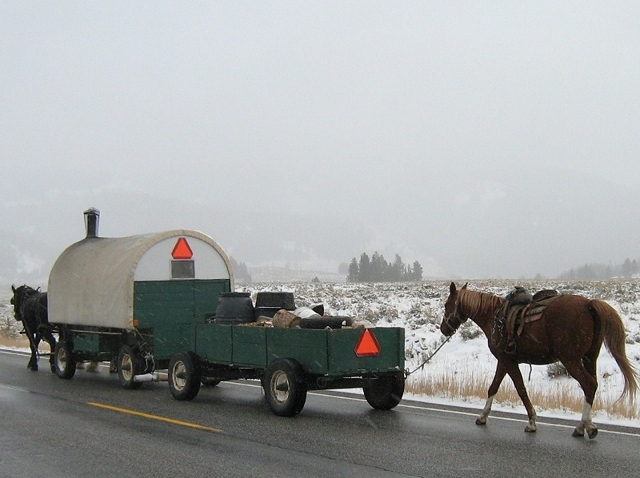 Idaho Sheep Camp’s sheep wagons are designed to be pulled on a freeway, but they can be pulled by horses as well. 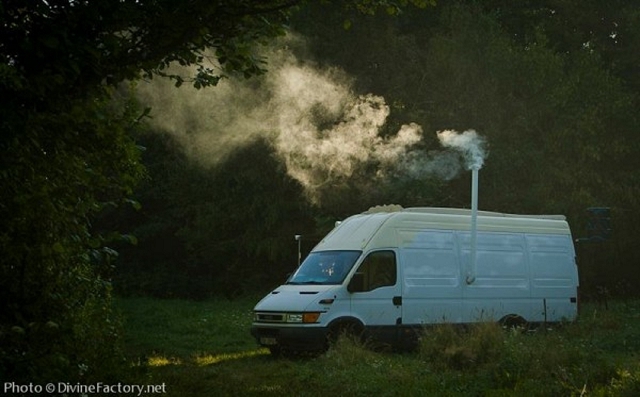 They feature stoves, electricity, sleeping areas, storage, and more. Plus, they’re so durable that one even survived a hurricane with 24 hours of heavy sustained rain and 80 mph wind gusts. 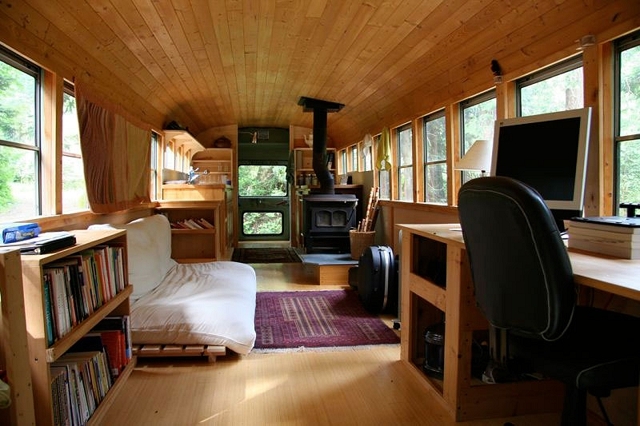 Have you ever seen a school bus and thought it would make a great home? We haven’t, but the couple that created this charming school bus turned home did — and they did a great job transforming it into a comfortable home on wheels. 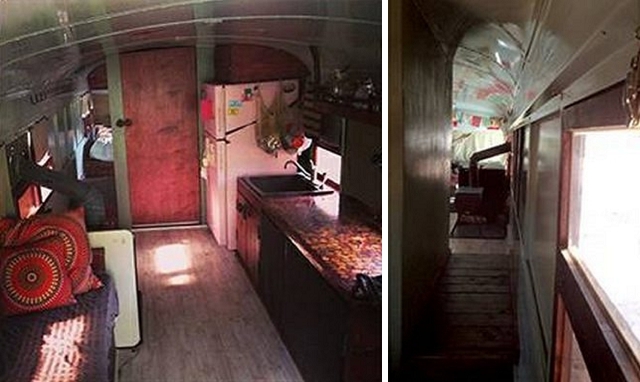 The home was created in a 35′ 1978 International bus. With all of the seats removed, bamboo floor, pine ceiling, and loads of windows, this school bus has an open, airy feel to it. 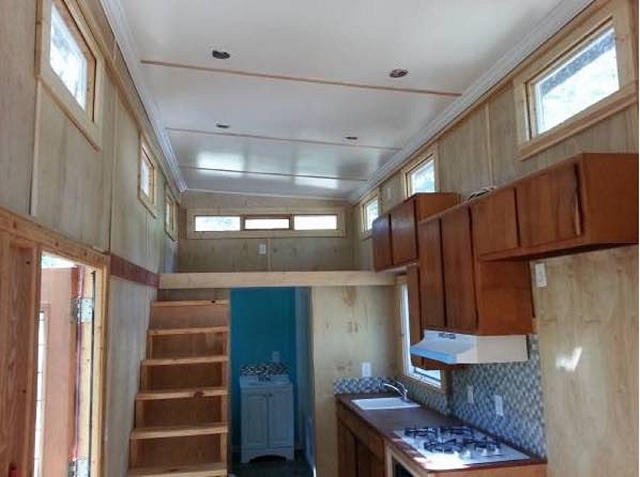 It has a full kitchen, wood stove, and even a roof deck. 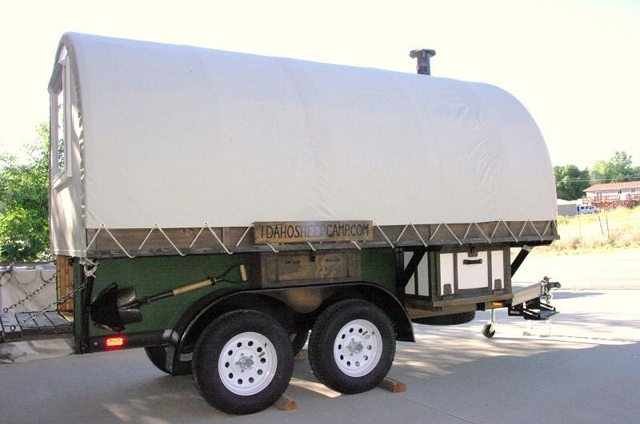 It’s fully insulated and comfortable, and runs and drives well for any adventure. Rich’s portable home may look small on the outside, but inside, it’s full of space and modern amenities. The portable cabin has a full size stove, refrigerator, oven, and dishwasher, as well as a spacious loft area for sleeping. Some of the cabins can be pulled with pickup trucks, and if requested off grid capabilities including chargers, batteries, solar panels, and composting toilets can be installed. The Wing House is an expandable living space that’s designed to fold into a standard shipping container. Units can be placed anywhere with a swing lift, and then expanded into a living area within four to five hours. They come complete with plumbing and wiring for telephone, TV, and Internet. Once expanded, Wing Houses are surprisingly large, and able to accommodate full size, permanent furniture. What’s now an EarthShip was once a lowly work van. The interior is beautiful, warm, and homey — a far cry from what the outside of the vehicle suggests. The former van has enough room for a bed, stove, dog, and even a few friends! Portable homes don’t come with a white picket fence — or do they? 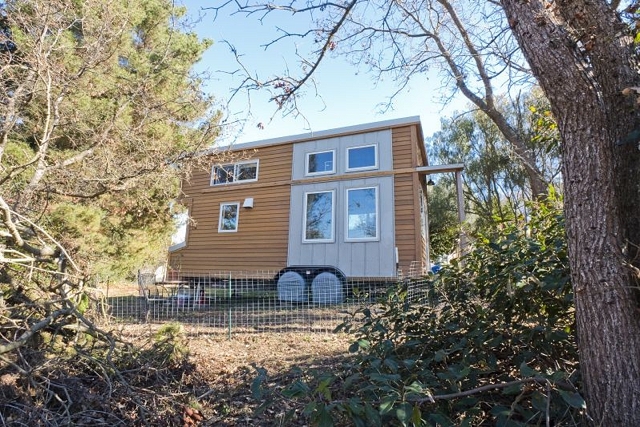 This extremely cute (but deceptively spacious) cabin fits on a trailer, but it has a full bathroom, kitchen, sleeping space, and yes, a fold out deck with a white picket fence. 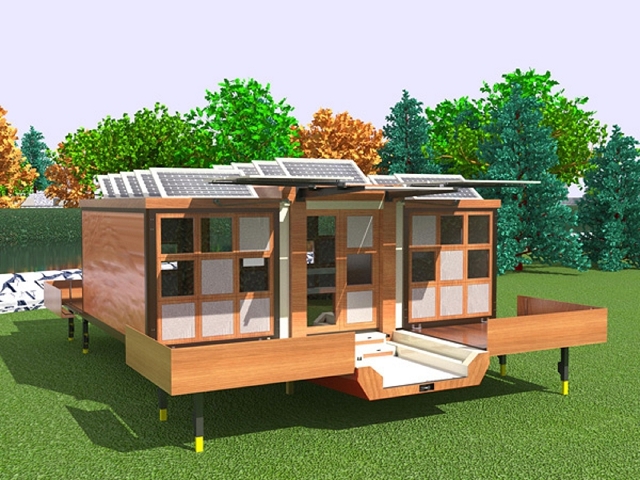 The home is easily portable at just 8’x17′ and is completely solar powered. 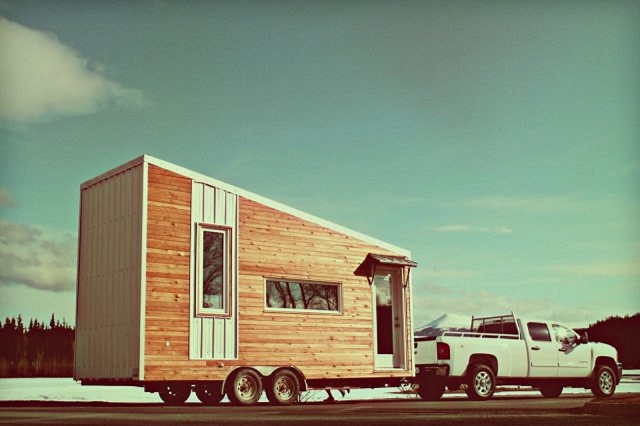 Don’t let the fact that this tiny house can be pulled by a regular pickup truck fool you: it’s got plenty of room inside. 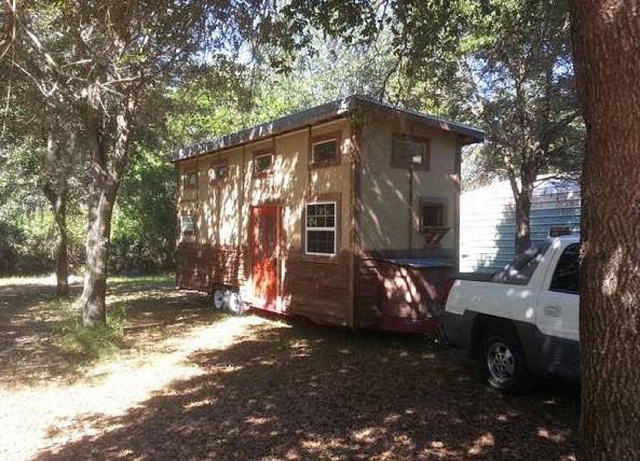 This house on wheels has tons of windows, a sleeping loft, full bathroom with a bathtub, and full size kitchen appliances. 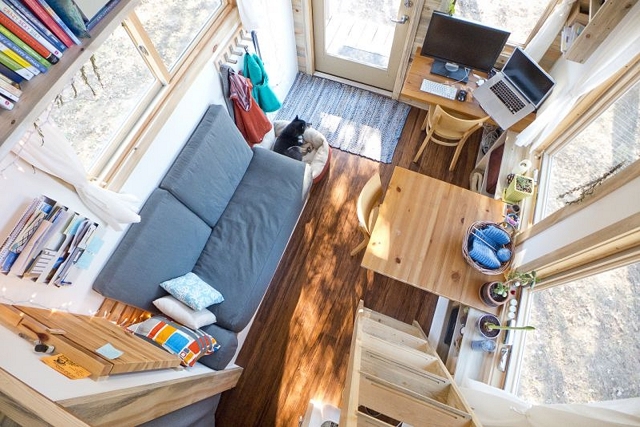 And though it’s only 256 square feet, it has plenty of living space. 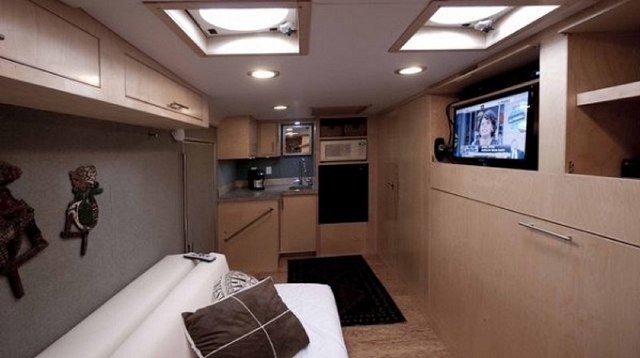 Plus, it’s well insulated with foam and metal roofing, and has hookups and outlets for modern amenities and comfort. Another great former school bus project, this 1990 Bluebird school bus was completely gutted and turned into a full time living area. 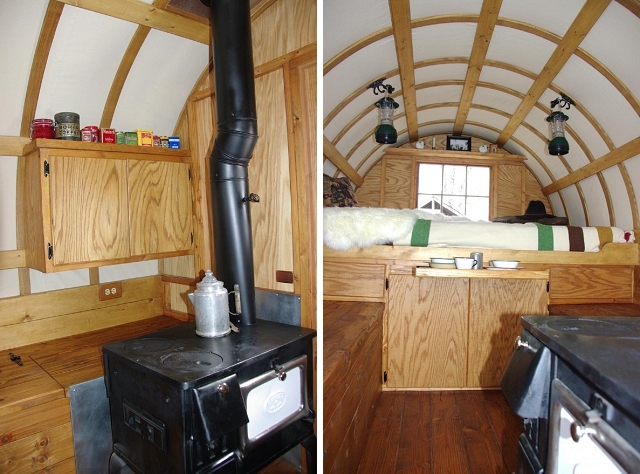 It’s 40 feet long and is complete with hot water, electricity, and a wood stove. There’s even a full size fridge, full size couch, desk, and a king size bed. Plus, it’s equipped to tow additional vehicles. 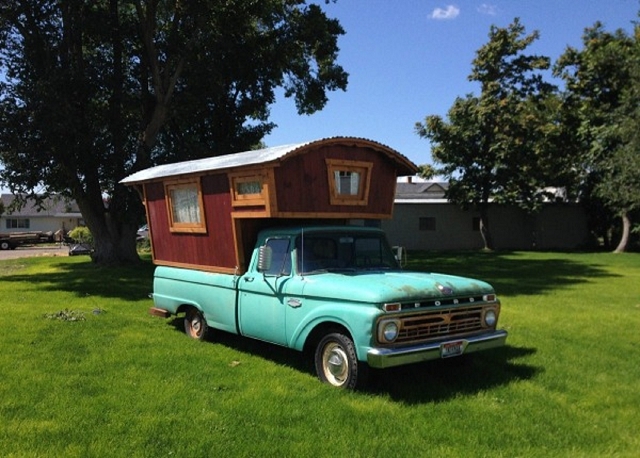 This home on wheels fits inside the bed of an old Ford F100 truck. 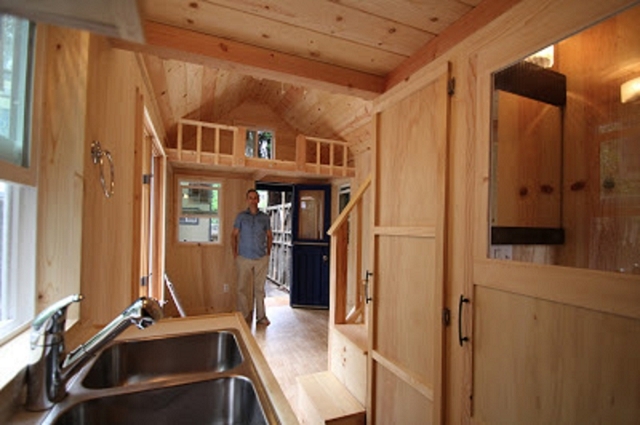 But despite its extremely small footprint, it’s very livable, with a comfy sleeping area, pantry, sink, and storage. And of course, it comes complete with a really cool looking vintage Ford truck! Insulated cargo trailers like this one are typically just used for cargo. 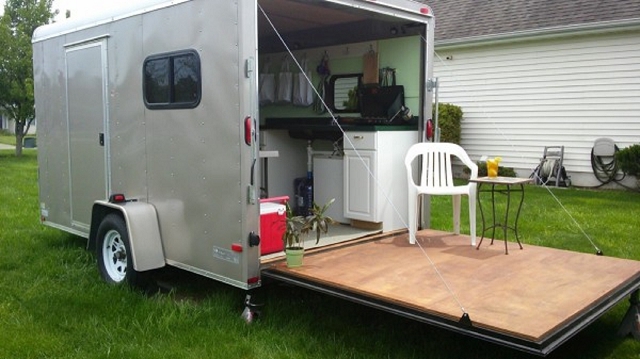 But this particular trailer is livable, with a kitchen, running water, toilet, and solar power. Amazingly, this project only took about $7,000 and a month of time to build, and it was built out of the owner’s garage. It has an RV pump handle for water, a mattress on plywood, and plenty of storage space throughout. 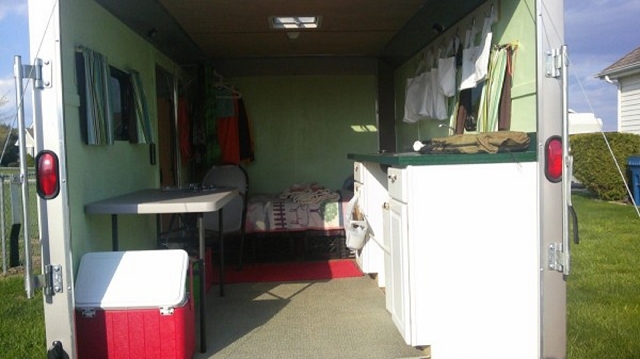 Another interesting cargo trailer home project, this house on wheels has a number of amenities, including a fridge, sink, microwave, bed, and TV — all inside a towable cargo trailer. 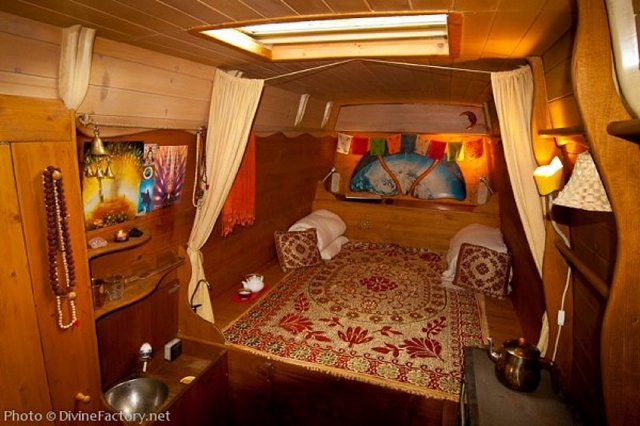 The home has solar, battery, and power management, and has enough water on board to travel for weeks. The owner and his wife have traveled more than 4,000 miles with the trailer — and even brought their dog along for the ride! 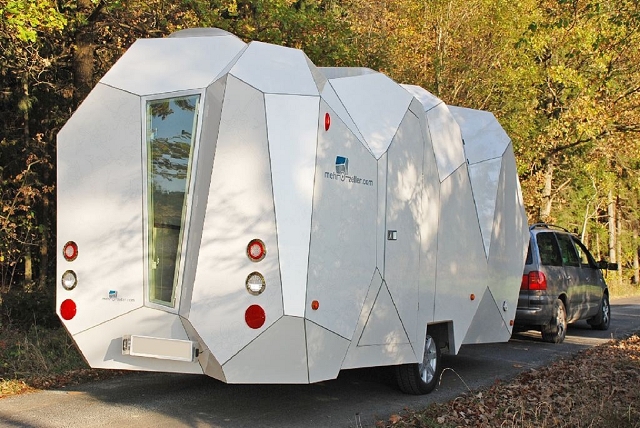 Merhzeller’s concept project combines mobility and living in a modern cellular caravan trailer. Units include a functional kitchen, electricity, water, and sleek modern interior finishings. 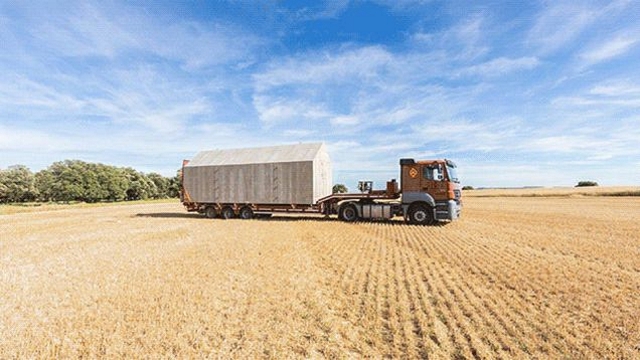 Are you inspired to create your own portable home? Or maybe you’re interested in a smaller home improvement project? Check out our DIY blog posts to hone your skills in home decor and repairs.